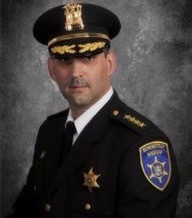 Governor Cuomo has appointed Schenectady County Sheriff Dominic Dagostino as a Member of the New York State Interoperable and Emergency Communication Board for a four-year term. The 25 member SEIC Board is composed of state agency heads, state legislative representatives, representatives of first responder organizations and experts in the field of interoperable and emergency communications. Chautauqua County Sheriff Joe Gerace and Niagara County Sheriff Jim Voutour also serve on the SIEC.